The Christmas Tree of the Day series is back for 2011! 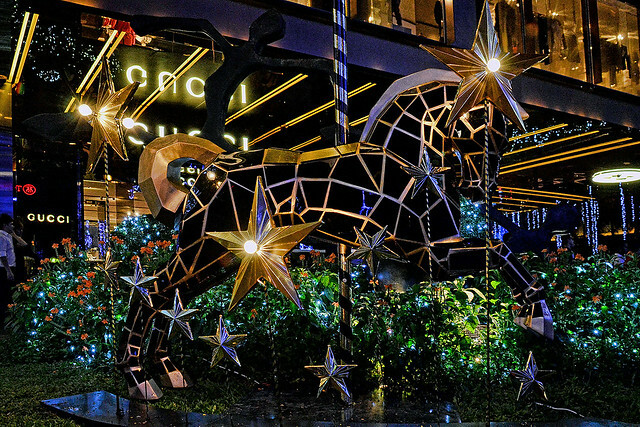 To celebrate Christmas, each day we will feature one unique Christmas tree in Singapore. With this series already into its 6th year, this Christmas we are collaborating with Flickr user Mr. Choo Yut Shing to bring you this showcase. I have been a huge fan of Mr. Choo’s photography in recent years; through his eyes you will start to see this city in a new light. It is an honour that he has graciously agreed to have his brilliant Christmas pieces featured on Sparklette. 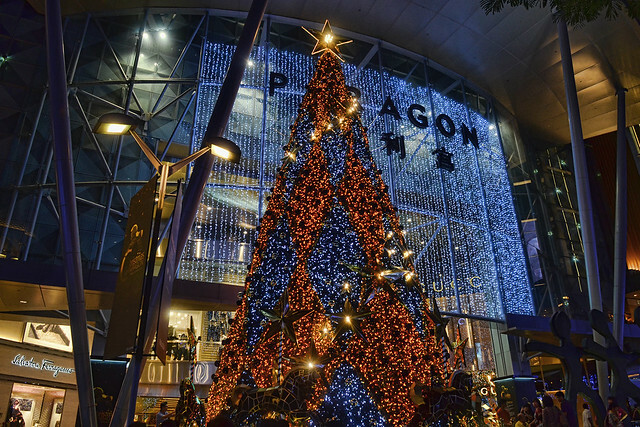 Opening this year’s series is the classy Christmas tree erected at Paragon Shopping Centre. All the photos you see here are taken by Mr. Choo himself. Unlike the conventional green and white Christmas trees, this tree deviates from the norm by being decked out in contrasting colours of black and gold, speckled with shiny baubles and large pointy stars. Dark carousel horses with gold manes, hooves and tails surround the tree at its base. If there is one mall that always dazzles at Christmas, it has got to be Paragon. Check out the mall’s beautiful Christmas trees over the years: 2006 | 2007 | 2008 | 2009 | 2010.